Silvestre De Sousa capped a stellar year with victory in the Longines International Jockeys’ Championship at Happy Valley on Wednesday. 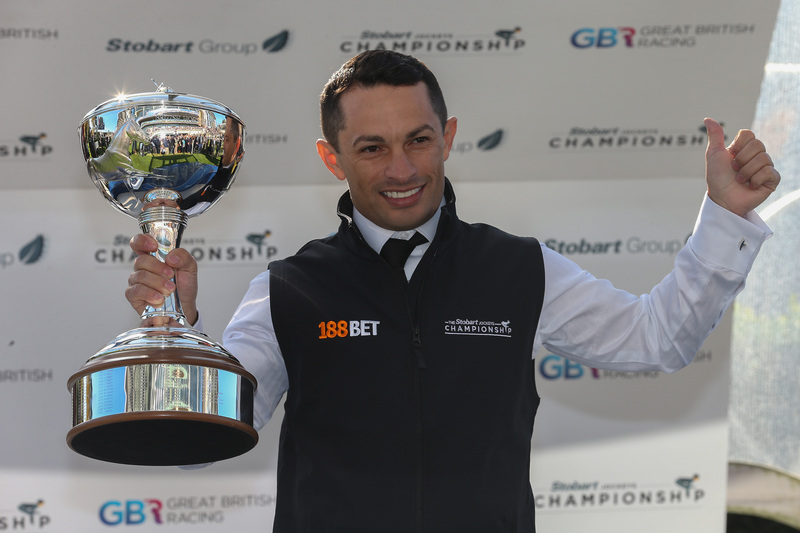 The 37-year-old, who claimed his third Stobart Flat Jockeys’ Championship back in October topped the standings with 34 points following the conclusion of the four-race competition. After finishing second in the opening race aboard Midnight Rattler, De Sousa, who finished runner-up behind Zac Purton in the contest 12 months ago, went one better in the next race when steering Glory Star to victory from the front. A third place aboard All You Know in race three edged De Sousa closer to the title, before he sealed it with victory on the former Ed Walker-trained Experto Crede in the finale to land the prize, which was worth 500,000 Hong Kong dollars. De Sousa said: “When I looked through the draw and races this morning, I knew I had a bit of a job and would need a bit of help. “The horse in the second race was in good form and came out of his other race well. I made the running and was happy all the way and I tried to stretch the field. “I was told the last horse was in good shape and everything went very smoothly. I tried to come the shortest route with him and I felt I was in the right place as I followed the horse I wanted in front. “When you go out there you don’t think about the money, you just think about the performance. I was leading coming into the last race last year and Zac (Purton) came and took the prize money. This year I went out there confident of giving it my best. Finishing in second behind De Sousa was 2017 Irish champion Colin Keane, who enjoyed a winner on his first ever ride in the country when scoring aboard Special Stars in the opening leg. Keane said: “I didn’t expect that, so to come away with second was brilliant. The atmosphere out there was unbelievable. “To have a winner on my first ride was great and it just took the pressure off and meant I was able to really enjoy the rest of the night.